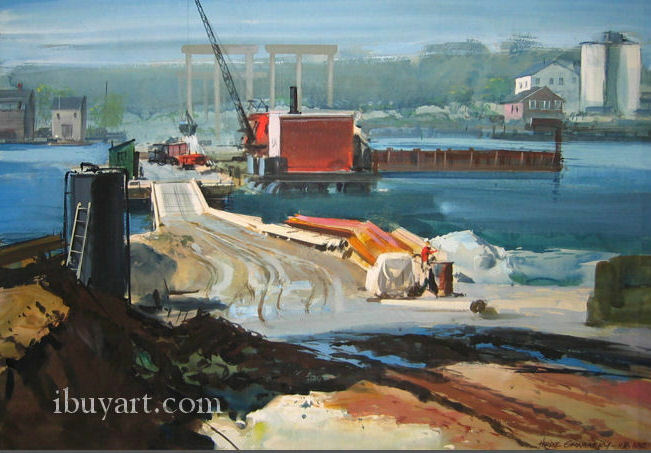 Please click here to sell your Hardie Gramatky painting or receive a free art evaluation of your piece. Click to review some of the paintings we've recently purchased by Hardie Gramatky. 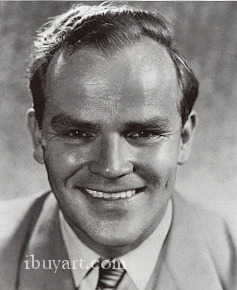 Hardie Gramatky was raised in Southern California. He studied art with E. Tolles Chamberlin, Clarence Hinkle, Pruett Carter and Barse Miller. A dedicated student of watercolor painting, Hardie Gramatky produced an average of five small watercolors per day. By 1929, he had become a proficient watercolorist and was recognized as one of the true innovators in the development of California Style watercolor painting. These skills helped him to get a job as a senior animator at the Walt Disney Studios. In the early 1930s, Gramatky became active on the board of the California Water Color Society and it was largely through his aggressive moves that the California School of watercolorists was able to take control of the Society and expand it into a nationally recognized organization, In 1937 the Ferargil Gallery became his art agent in New York City and began selling his watercolors. Hardie also exhibited works in other cities in America and established a reputation as one of Californids premier watercolorists. By the 1940s, Hardie Gramatky was producing commercial art to be used for magazine illustrations and began writing and illustrating a series of childrerA books. Hercules, Loopy, Creepers Jeep and Sparkey~ were all books he created, but Little Toot was the one that would become an all-time best seller. During World War II, he worked in Hollywood producing training films for the United States Air Force and after the war, moved permanently to the East Coast. Hardie Gramatky biography posted with permission of �California Watercolors 1850-1970� by Gordon T. McClelland and Jay T. Last. Copyright Hillcrest Press, Inc. 2002.